How Do You Know What You Need to Play Paintball? Questions about paintball equipment and what type of gear is right for you? Then you have come to the right place. For those who are new to the sport of paintball it can be difficult to figure out what paintball equipment and accessories you will need. Many retailers are either very unknowledgeable or try to sell you equipment or accessories that you simply do not need. There is a large market for paintball equipment and there are so many things to choose from. How does a new player figure out what they need and what can wait? The simple answer is Action Packed Paintball. While we are best known for game play, parties and our many paintball fields we also offer paintball equipment and accessories as great prices at our Minneapolis location paintball store. We are also proud to have an extremely knowledgeable staff who will help you figure out just what you need to play and have fun. You can start with the basics and the sky is the limits. We are sure that you will find what you are looking for. For even the more experienced player, our Minneapolis store is a great place to shop for the newest accessories and equipment and get great information. Our staff loves the sport of paintball and loves to share their knowledge and experience. We won’t try to sell you equipment you don’t need. We want everyone to get a chance to play, be safe and have fun. So, whether you are looking to host a party, looking for a walk on game or need a place to purchase your paintball needs Action Packed Paintball is the best place to find it all. 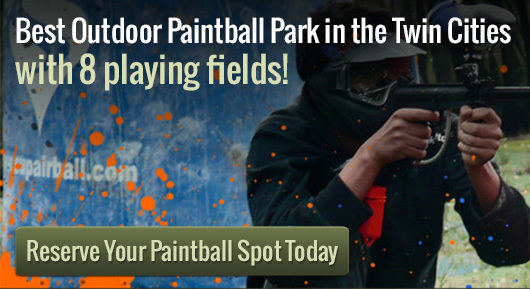 The Splatball Paintball Store is located at 2921 2nd St N. in Minneapolis and can be reached at 612-378-0385.